For today’s post, I thought I would discuss the reasons why I finally decided to go completely vegan. I spent the last five years of my life being a vegetarian, buying cruelty-free products, and avoiding fur, leather, wool, and down; but on April 6, 2018, I decided to eliminate all animal by-products from my diet and lifestyle. 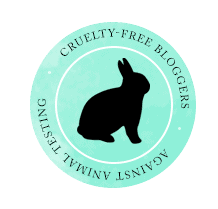 This post is going to focus on some of the things I’ve learned about the animal by-product industry — which was more than enough to push me to start living an ethical vegan lifestyle. Ever since becoming a vegetarian in 2013, I’d always heard about how the dairy industry had such close ties with the meat industry. I never used to understand why until a few years ago …and even then I had a hard time believing it. What I found was absolutely horrendous! I can’t even describe the sickness that I felt when I found out that the dairy industry and the meat industry are the same gross industry. As dumb as it sounds, until a few years ago, I always thought that milk cows naturally produced milk. This is not the case. Like humans, they have to become pregnant to produce milk. A dairy cow’s life is yearly forced impregnation and birthing, along with constantly being milked (dairy cows are given hormones which makes them produce more milk — not for their babies, but for us — and is extremely painful for the cows). As soon as a cow births her calf, her baby is almost always immediately taken from her…I mean we can’t let those babies take our precious milk, right?! If the calf is born female, she will most likely live the same horrific and painful life as her mother. If the calf is born male, then he will most likely be sent for slaughter to make veal (or be killed on the spot, typically from blunt force trauma) because male cows are considered “useless” to the industry. Once a dairy cow can no longer sustain the process of constant impregnation, birthing, and milking — which is typically 4 to 6 years on factory farms (compared to 20 years in natural settings) — she will then be sent for slaughter and made into meat. Can you imagine living a life of constant sadness and pain only to be viciously killed? The dairy industry is a violent and disgusting industry that I absolutely do not want to support. I also never want to support the egg industry again because it’s also a gross industry. Hens are kept in horrible living conditions with no room to move or spread their wings. They have to constantly lay eggs — which puts immense strain on their little bodies — and then, just like dairy cows and milk, once they can no longer produce enough eggs, they’re slaughtered. Chicks raised for egg production have their beaks sliced off to prevent them from nipping…which is done with no painkillers. And billions of chicks that hatch are thrown away like garbage because the male chicks are, again, considered “useless”. They’re usually macerated, but they may also be suffocated or gassed. It goes without saying that the chicks who are thrown away die a very violent death — although, they all do at some point. The same things happen to free-range eggs and chicks — so please don’t let the term “free-range” fool you. Aside from the terrible living conditions these animals experience, many also have to deal with physical abuse from humans. I don’t know what it is about these industries, but they seem to attract many workers who physically abuse the animals — although the work conditions that they’re made to work in and the quotas that have to be met must have a significant impact on workers (many slaughterhouse workers actually develop PTSD from the conditions that they’re exposed to). Many animals also contract infections and diseases that leave them to die a slow and very painful death. This abuse and senseless murder happens in virtually every country, so please don’t ever think that your country is different toward farm animals. The meat, dairy, and egg industries are disgusting, cruel, and completely unnecessary. Going vegan is the only solution to all of this animal cruelty. Is it worth an animal suffering for us to be able to enjoy a certain food? No, it’s not. There’s a vegan alternative to almost every animal product — every taste and every texture — so there’s really no excuse! My goal is to make sure that I never contribute to the suffering of any sentient being in any way, and that means not giving my money to people who do cause animal suffering. I hope you’ll choose an ethical vegan lifestyle as well …for the animals. Side Note: I was going to add footage from factory farms and slaughterhouses to this blog post, but I decided that it wasn’t necessary. I feel that what I’ve written gives readers an idea of what these innocent animals face. For anyone who eats meat, cheese, eggs, drinks milk, etc., please educate yourself about where (and who) your food is coming from. A few weeks ago, I shared some really great resources for going vegan, for anyone who wants to explore veganism. Living an ethical vegan lifestyle is so easy, healthy, and it doesn’t harm animals. Animals are worth far more than our taste buds. Next Post Toria’s Top Ten: 10 Best Vegan Junk Foods! That’s amazing! Every change we make helps animals!